The Wolf Business Park is currently in a poor state of repair. The existing buildings are effectively coming to the end of their habitable state and therefore are not fit for purpose in terms of modern employment requirements. The buildings also contain significant areas of asbestos, which makes refurbishment unviable due to the costs associated with such remediation. As a result, the site is not desirable to new businesses wishing to operate in Ross on Wye, and unfortunately, existing businesses are moving away. For example, R.A.G.S has confirmed that they will be relocating to more suitable premises independently of the Lidl proposal. The vacant parts of the site have not found tenants despite being marketed over recent years. As a result, the park will very shortly be 57% vacant, which in other words means that the site will only be sustaining 12 jobs. The owners of the trading estate, the Wolf Family, live nearby and have sought for many years to find a solution that will allow them to invest in the Estate and to reinvigorate the offering to retain current tenants and attract new ones, to secure the long term and successful operation of the business park. This has been unsuccessful without funding to upgrade the offering. 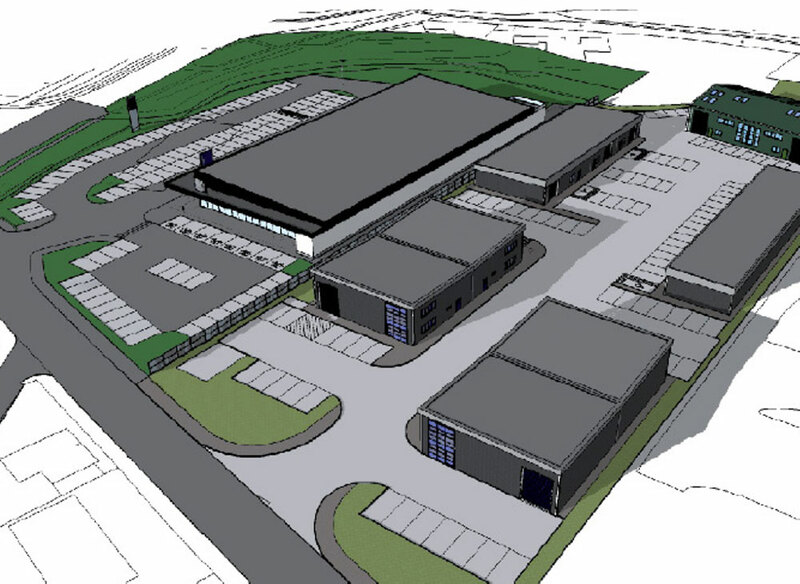 We are proposing to purchase part of the site to build the food store, demolish two out of three existing buildings and, through the provision of the capital receipt to the Wolf Family, facilitate the development of brand new, purpose-built business units on the site.